Is Rainmaking Too Hard, No Fun, and Unproductive? • Identify a class of problems that you are passionate about. Focus your attention on the types of clients and industries that have this problem, want to solve it, can afford the solution, and you enjoy working with. Don’t overlook internal clients and sub-contractors. • Precisely target your desired clients. Putting your rationale in writing is a great way to test and refine your thinking. It also facilitates sharing for discussion. Then design your tactical plans. If you choose a trade association as a place to meet clients, consider how you would like to be perceived at your first meeting: as a vendor, supporter, or expert. Bring a clear message and image that contacts will pass on to others. Technical credentials and reputation can help initiate or accelerate contacts. Consider technical presentations or service on subcommittees as reputation enhancers. Be careful about aligning yourself with organizations that may be perceived negatively or as activist by your clientele. • Learn everything you can about your targets. Google alerts, journals, and associations can help you meet the movers and shakers. Get to know them as real people. Learn their businesses inside and out, not just their strengths, weaknesses, threats, and opportunities but the details of how they do what they do on a daily basis. Seek to discover client values and beliefs that you share so you can anticipate their needs before they know they need it. • Conduct every client encounter as an experiment. Consciously consider how you might carry out several of the possibilities on your list. Test ideas and tactics, but never risk more than you are willing to lose. Use experimentation as a source of originality to spark client interest while being genuine. Never confuse yourself or potential clients about who you are. Engage clients in serious dialog not only for market research, but also to develop a genuine personal relationship. • Analyze what you are you doing. Set up points in the process to debrief, reflect, and ideally obtain feedback from others. “How is this working?” “What are the results?” “Do your interests align with your firm’s culture?” Tease out elements that work differently from others and try to figure out why. Build on knowledge gained in earlier iterations. Embrace failure as an acceptable outcome. Failure should not only be acceptable, it may, to some extent, be the preferred outcome - at least for many of your initial possibilities. Above all, take action. Fail fast, frequently, and affordably to maximize learning. Starting a new process is hard and takes extra time and effort; but in time, winning more work will be far easier, more rewarding, and productive. For more vital information on how to win work now register for PSMJ’s Win Work Now: Three 1-Day Business Development Programs.This fall, PSMJ is providing 5 locations all across North America and Canada to give your whole firm the tools and confidence you need to succeed in bringing in more work for the firm. Register today! After a slight decrease in April, the American Institute Architects’ Architecture Billings Index fell sharply in May. It marked the biggest drop seen in the architecture industry in almost a year. This pattern in ABI readings mimics 2011, when billings increased in the first quarter and then reversed in the second before recovering later in the year. While a decrease in business activity is never a welcome sign, hopefully this trend proves true and billings will increase again by the year’s end. The ABI registered a score of 45.8 in May, a significant drop from the 48.4 recorded in April. The drop pushed firms in all regions of the country into declining billings. The downturn is particularly notable at firms in the Northeast and Midwest, which had been posting generally positive readings for the past several months. Firms with an institutional building specialization remained weak, while residential firms turned slightly negative after several months of positive business conditions. Firms specializing in commercial and industrial facilities were the one major category that continued to show growth in the face of the national downturn. Trends in business conditions at architecture firms are reflecting a slowdown in the broader economy. On the employment front, growth in business payrolls slowed to an average of just over 70,000 in April and May, after averaging monthly gains in excess of 225,000 in the first quarter, and 130,000 in the fourth quarter of 2011. For the first time since late 2010, weak growth in payrolls in May pushed up the national unemployment rate, which now stands at 8.2%. As seen over the past several quarters, a slowdown in overall employment growth has meant a decline in construction employment. Construction payrolls declined by an average of 15,000 per month over the past two months, after recording small gains for the prior three quarters. The unemployment rate in the construction industry is currently 14.2%, above the national average but well below its high-water mark of more than 27% in early 2010. Even with weak job growth, there are signs that the housing market has begun to turn around. Annualized housing starts for the first four months of the year have totaled 100,000 more than they did in 2011. Multifamily construction activity has accounted for almost half of this gain, as this market has improved dramatically as an increasing share of households are choosing renting over homeownership until the housing market stabilizes. Sales of existing homes have also improved, but at a somewhat slower rate. By region, the ABI breaks down as follows from April to May: Midwest is down 46.8 from 50.1, South is down 46.1 from 49.0, Northeast is down 48.6 from 51.0, and West is down 47.6 from 48.0. By market sector: Residential is down 48.9 from 50.5, Institutional is down 45.6 from 46.6 and Commercial/Industrial is down 50.7 from 53.8. Is your firm thinking of ways to cut costs? Here are eleven creative ideas to reduce your overhead expenses. 1. Require all project-related printing to be done outside the firm so vendor invoices can be passed on to clients as reimbursable expenses. 2. Charge all plots to the client; no free in-house plots. 4. Charge computer purchases requested by an individual to his department or to the specific job for which it was requested. 6. Limit company-paid professional registrations to one per person per year. 7. Limit company-paid membership in national organizations to one per person per year. 8. Eliminate your in-house bookkeeper; use outside service vendors for your payroll. 9. Shift job-cost reporting, billing, and other accounting functions to the secretary who does it as a part-time, collateral duty. 10. Use students as part-time employees for deliveries, routine filing, posting of invoices, and other clerical tasks. 11. Assign collateral duties to everybody in the office, virtually eliminating overhead positions. None of these items alone is going to make or break your profit, but by focusing attention on areas of cost that are not normally examined, and by adopting a cost conscious attitude throughout the firm, you may improve your bottom line dramatically. 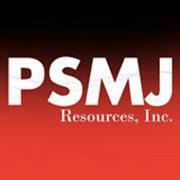 PSMJ has been addressing effective financial management in design firms for more than 34 years. Learn tips like these and many others at our A/E/C Successful Financial Management Seminar. Together, we'll walk through a structured, logical approach to sound and sustainable financial management for your A/E firm. Click here to register now! 1. Have an agenda. This may seem obvious, but many meetings meander along in a rudderless, undirected fashion – apparently without set objectives or goals in mind – so that at the end of the session, there was much discussion but little actionable progress. 2. Assign a facilitator. This person is responsible for setting up and implementing the meeting logistics (meeting invitations; adjustments to meeting schedule; rounding up stray participants) and may be asked to lead the meeting discussion as well. 3. Ensure that meeting participants are engaged. Said differently, be sure that the participants are required and have a purpose for attending! Ideally, anyone in the meeting has a speaking role or subject matter that they are prepared to talk about. 4. Monitor the discussion and participation to ensure that the agenda isn’t dominated by one or two individuals. Make a point of asking for input from the quiet members of the group who may have trouble breaking into the discussion on their own. 5. Stick to the agenda so that the specific objectives of the meeting are addressed and accomplished. Meetings can be great environments for brainstorming and creative thought for some individuals. It’s important to not unintentionally smother that creativity, so ask that items tangential to the main discussion topics be captured for subsequent exploration in a different venue. 6. Account for the participants joining via conference call. Meetings including geographically dispersed team members, who will be joining the discussion by telephone, require special attention to meeting etiquette: minimizing side-bar conversations, modulating speaking volume or asking speakers to move closer to microphones, asking callers to mute phones when not speaking, asking callers to identify themselves when speaking, etc. 7. End the meeting on time. Recognizing that everyone is busy and constrained by other commitments is an important way to gain the good will of participants in your meetings, and ensures that they’ll be willing to accept your next meeting invitation. 8. Record and promptly distribute action items and meeting notes. Ensure that the participants get a written record of the outcome of the meeting and associated assignments. Without this memory jogger for everyone’s reference, it becomes very difficult to hold participants accountable for completion of follow-up actions. To learn more tips and techniques you can use to become a better and more successful project manager, check out PSMJ’s Ultimate Project Management Manual. • Cut the business development budget. • Cut discretionary travel to conferences. • Cut upgrades to IT and infrastructure items. • Cut…well, you get the idea… cut hiring, cut salary increases, cut promotions, cut office expansions, etc. Cutting the business development budget seems like a no-brainer. After all, the BD folks spend a lot of money courting clients. They play golf, sponsor expensive lunches and dinners, stay in hotels and run up the company overhead. So, it makes the most sense to cut this expense first. • Your BD budget should focus significant resources and attention on the furthering of existing client relationships. Those clients typically give you 75 to 85% of your revenue and profit! Your BD budget must reflect the emphasis and value you put on keeping your existing clients happy and coming back for more. • You must focus on developing new clients. It’s a fact of life at you need to develop new clients because you will occasionally lose an existing client due to no fault of your own… someone retires, corporate agreements expire, your client gets bought by a larger firm with pre-qualified in-house consultants, etc. • If you’re not growing, you are shrinking. And if you do not develop new business and new challenges, your best employees will go elsewhere, in search of new challenges. • You should be fostering all relationships, regardless of immediate payback. Visit your existing and former clients who don’t currently have money to spend. You will solidify your position with them in the future when their fortunes improve. You can be seen as a real friend who does not come and go as funding ebbs and flows. • Finally, realize that your competition does just what we have been excoriating here. They cut BD funding when the going gets tough. So, do the opposite! We’re on a mission to help firms like yours navigate their way back to prosperity. Attend PSMJ’s Successful Financial Management for A/E/C Firms to ensure your firm is among them! Click here for upcoming dates and to register for one of our upcoming seminars!